I came across your site while researching my (5) Great Grandfather John Lock. He was at the Battle of Brandywine according to a history book in the town where he settled after the war. (Lewisburg Ohio). He is buried at Roselawn Cemetery in Lewisburg. I have the following info: He joined the Maryland Flying Camps July 1 1776 at 21 yrs of age, and just after Brandywine (where he is alleged to have suffered a bad wound) he was moved into the 8th VA regiment under Capt Jonathon Clark. In April 1778 he was made a Corporal. He was in and out of different regiments and under various commands as men were dying often. 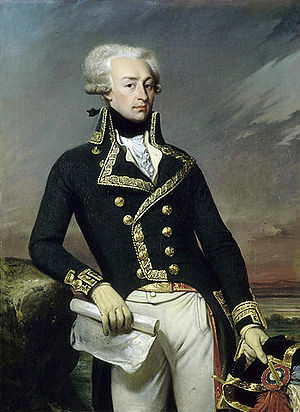 He fought all the way to Yorktown and resigned as a Captain in the 29th Regiment MD in 1811. He died in 1818. I also have a copy of his will and an inventory of all his belongings at the time. I am a descendant of Col. Alexander Lowry, Lancaster PA Militia, 3rd Battalion, 2nd Brigade under General James Irvine and served under Armstrong. I am attaching some indication of his service. The Pennsylvania Milita in 1777 by Hannah Benner Roach, Reprinted from The Pennsylvania Genealogical Magazine, Volume XXIII, Number 3, 1964. Page 186, General Return of Pennsylvania Militia at Wilmington, 1 September 1777, Lancaster, Col. Alexander Lowry, 116 Fit, 141 Total [3rd Class], 4 Capts, 7lts., 10 sick, 15 on command, 2 deserters [to 2nd Brigade], (served under Armstrong). Page 198, Return of Second Brigade under General James Irvine, Trappe, 1 October 1777, Lancaster, Col. Lowry, 112 Fit, 134 Total, [3rd Class], 3 capts., 7 lts., 13 sick, 7 on command, 2 deserters, 1 lt. col. and 1 capt. on furlough. I have pension records that my 5th Great Grandfather fought at the Battle of Brandywine. His name James Joseph Lovett. Born in England 1753. Recieved a ball in his hip during the war and was therefore entitled to the pension. It is very late and I don’t have that information at my finger tips. But if this is for real and you would like to know more please contact me and I will give you the information that has been researched by my family members. He first appears on a a Muster Roll for June 1777, dated July 10; the roster itself may give his enlistment date. He was in Capt. James Gray’s Company. 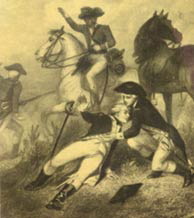 The battle of Brandywine was Sept. 11, 1777. He was not killed in battle, but it is possible he was wounded there. A Muster roll dated 4 Oct 1777 states he was ‘absent sick’. The Muster Roll for Sept. 1777, dated Oct. 14 states he was ‘sick in hospital’. The Pay Rolls for Sept. and Oct. 1777 have no special notations according to the Compiled Service Record but you’d have to look at the actual rolls; he was paid for each month. The Pay Roll for Nov. 1777 states under ‘casualties’ that he “died, time unknown”. A roll dated 22 Dec 1777 for November 1777 states he was ‘dead’, and had enlisted for 3 years. My 5th great grandfather Daniel Longbrake or Lambright or Lamprecht (he went by Longbrake) fought in the battle of Brandywine. I have 7 separate documents listing Daniel as a veteran of the Revolutionary war. Daniel was a Private of Bucks County, Substitute, 2nd Class, in the Pennsylvania Militia. Daniel served as a rifleman during his service. Daniel stated in his pension of 1832 “That he was drafted again and marched to Brandywine under the command of Captian David Millinger and he thinks the Lt. was Andrew Keesling. He was marched to Brandywine and placed in a regiment commanded by Colonel Pearce in a detachment commanded by General Winecroft”. Also in my family tree a unknown CROW, brother of Abraham Crow was killed in Brandywine. He was also from Bucks or Berks County PA.
Thomas LINK was captured at Brandywine. He was a Hessian soldier.